After a week of restaurants that I didn't like, this week's theme will be much cheerier -- trusty eateries that I love to visit over and over again! Animal is one of my favorite restaurants in Los Angeles. There have been dishes that I've liked less than others, but I have never had anything bad there. It has been a long time since my first visit. When Ms. Blake came to town, I thought our group dinner was the perfect opportunity to re-photograph the essence of Animal. 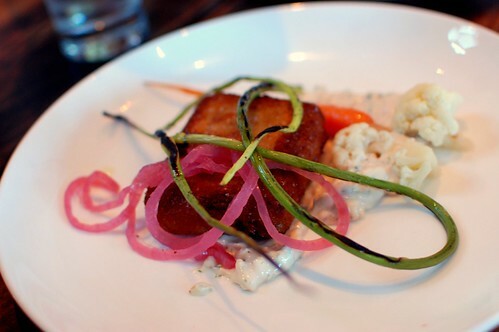 Crispy pig's head, pickled vegetable aioli, charred garlic scape ($13). 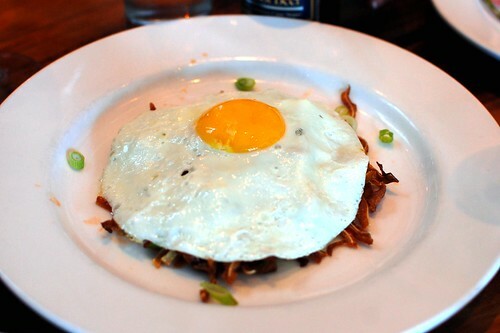 Pig ear, chili, lime, fried egg ($12). I probably should've taken a picture of the pig ear underneath, but I was too busy stuffing my face with the crunchy, salty goodness. 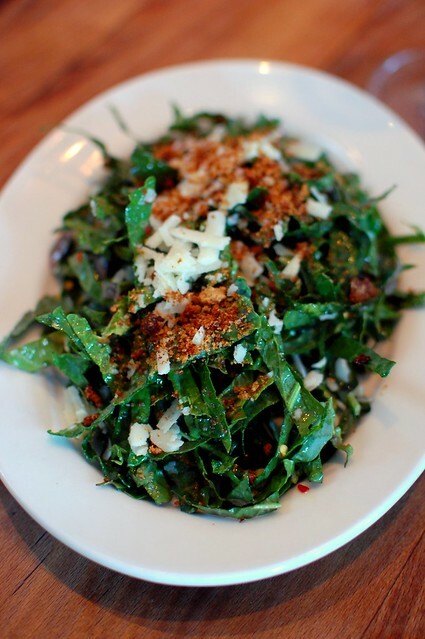 Baby kale, Pecorino, lemon chili vinaigrette, crouton ($9). Beautiful and fresh, but, really, it's just greens...at a place called Animal. You don't go to Animal to eat plants. A certain person claimed this was her favorite dish of the night. That certain person is certifiably insane. 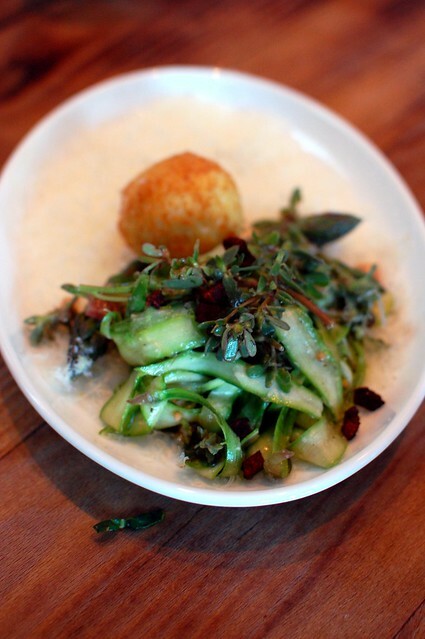 Asparagus, crispy egg, pancetta vinaigrette, Parmesan ($14). Now, see, if you're going to order vegetables at Animal, this is the way to do it. It's like breakfast with your veggies! 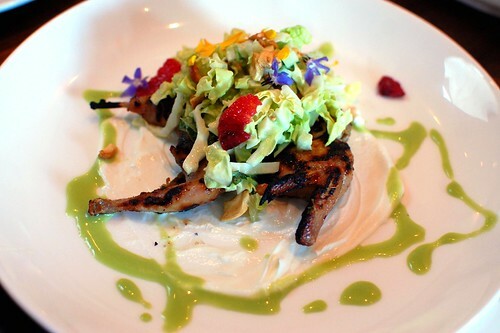 Thai BBQ quail, scallion, citrus, cashew, yogurt ($19). 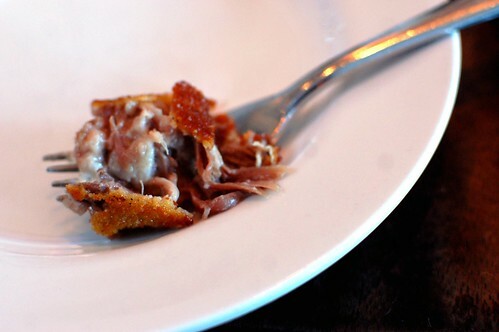 If there is tiny fowl on the menu, I will order it. This did not disappoint. But be aware that it is indeed quite tiny! 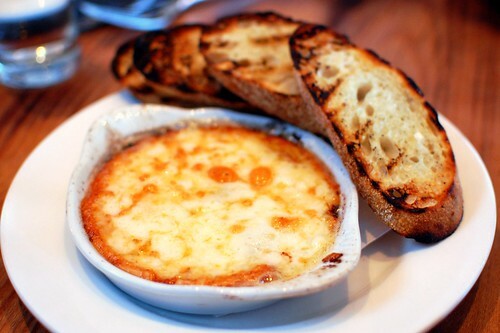 Melted Petit Basque, chorizo, grilled bread ($12). 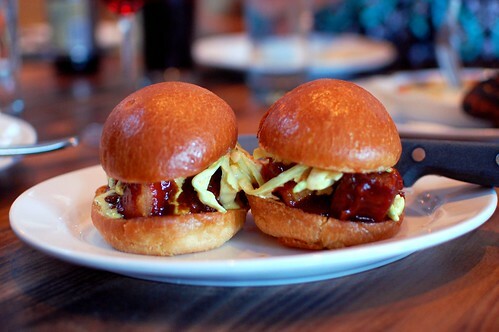 Barbecue pork belly sandwiches, slaw ($12). Small bites with lots of flavor. He was totally checking in on foursquare. 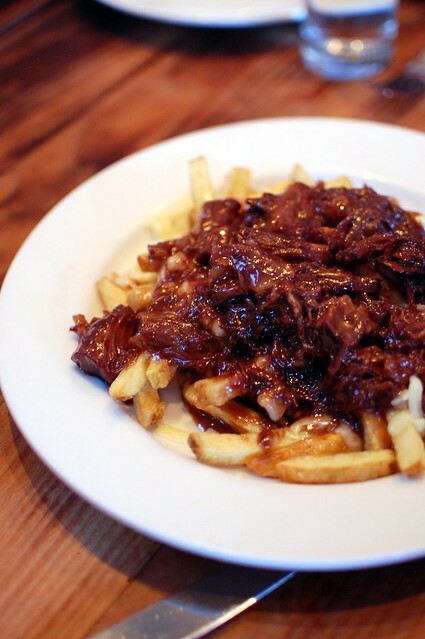 Poutine, oxtail gravy, cheddar ($16). Fries. Beef. Cheese. Yum. Any questions? 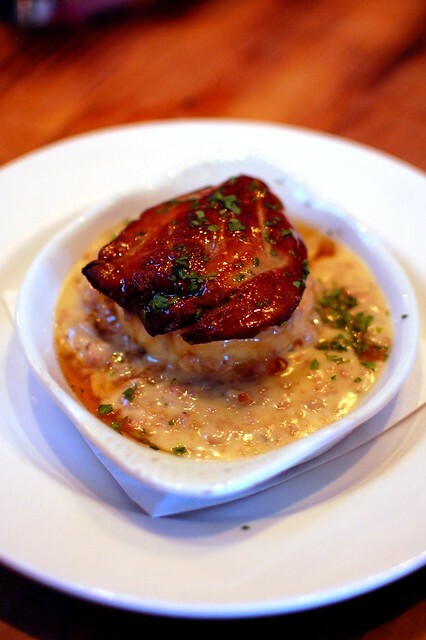 Foie gras, biscuit, maple sausage gravy ($24). Heavenly. Easily my #1 dish. Trust. 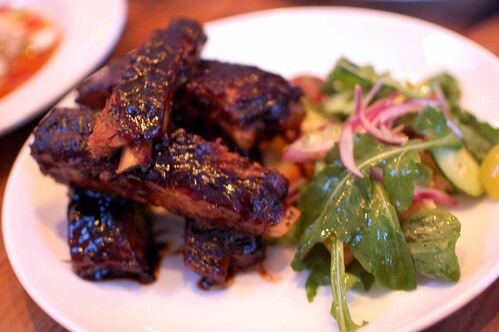 Balsamic pork ribs, tomato and cucumber panzanella ($18). Foie gras loco moco, quail egg, spam, hamburger ($35). 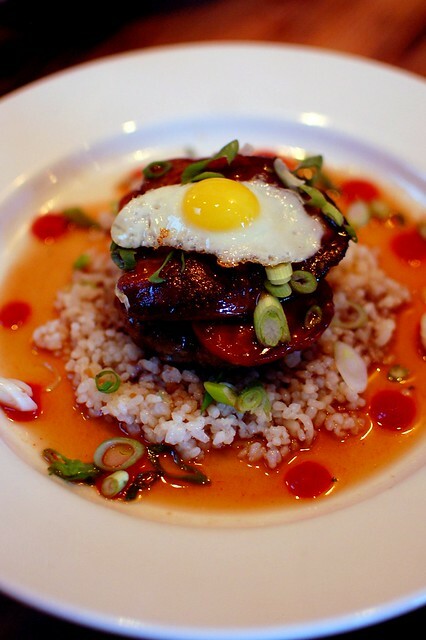 The richest, most decadent loco moco you may ever have. 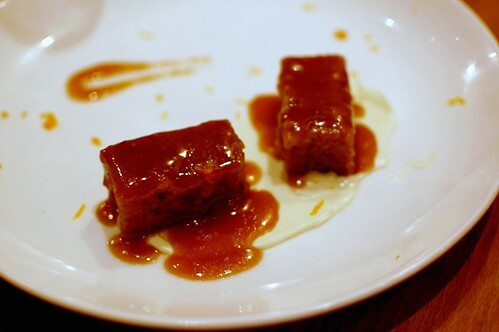 Sticky toffee pudding, mascarpone, orange ($7). Best dessert at Animal. A must! 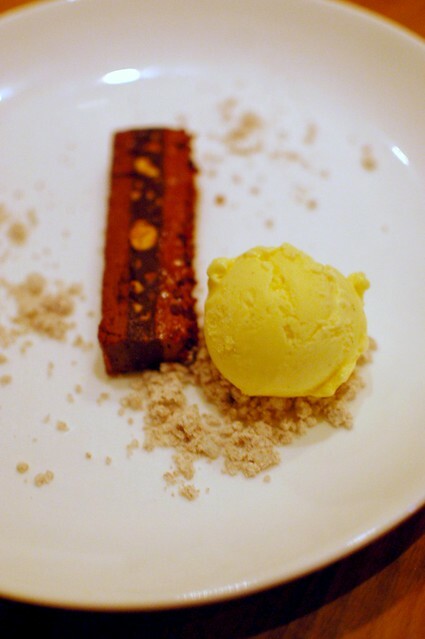 Bacon chocolate crunch bar, S&P ice cream ($7). Please listen to me when I tell you this is not worth the hype. Don't be swayed by the mere mention of bacon. It's fine, but get the sticky toffee pudding. You won't be sorry. As you can see, my advice was ignored...and it was then quickly confirmed that it should've been followed. I'm not going to steer you wrong, ok? 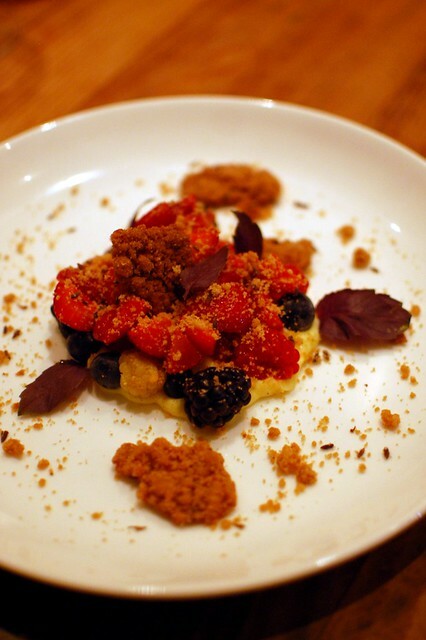 Berries, vanilla custard, lavender crumble, opal basil ($7). Great fruity option for those who want something a tad lighter. 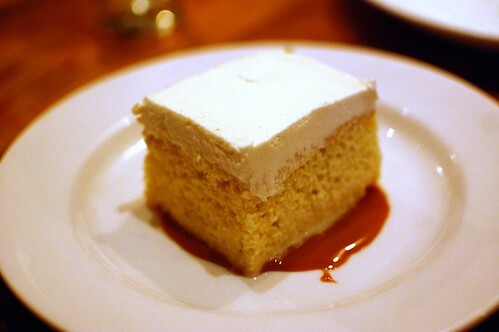 Tres leches, dulce de leche ($7). Nice, but tres leches has never been my deal. If you haven't been to Animal, you haven't lived. Remedy that. animal has been on my list of places to try for awhile now. I don't know what's holding me back. the food looks so good. My mouth actually opened at the sight of the poutine. 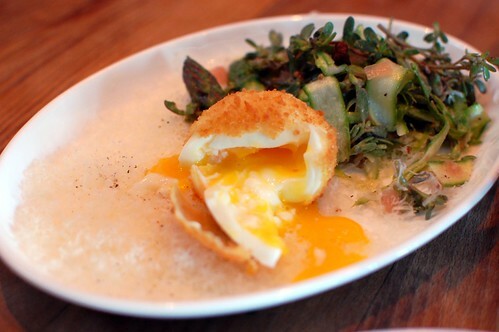 Must get back to LA asap in order to eat at Animal. I had such a great time that night! And thank you for showing me the kale again, looks better than I remembered! so good. 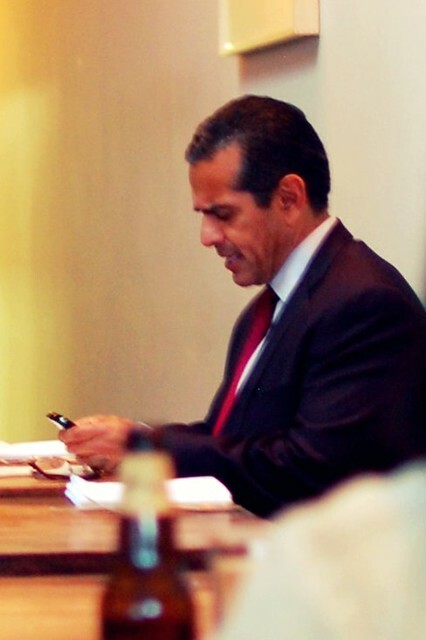 and love the mayor's cameo in this post.